Karen Abrahamson, Death By Effigy, Guardbridge Books (April 2017). Michael Bracken, “Atonement” in Mystery Weekly Magazine (April 2017). Michael also has “Blossoming Romance” in True Story (April 2017) and “April Fools’ Day?” as well as “Bearded For My Pleasure,” and “The Wild Life’s Not For Me” in True Confessions (April 2017) and One Knight With the Swordsmith’s Daughter, Deep Desires Press (April 2017). Sarah M. Chen, Sisters in Crime/Los Angeles Presents LAst Resort, Down and Out Books (April 2017). Peter DiChellis, “Most Evil” in the anthology Busted! Arresting Stories from the Beat, Level Best Books (April 2017). John Floyd, “Sand Hill,” in Gathering Storm Magazine, Volume 1, Issue 2: Collected Tales of the Dark, the Light, and Everything in Between (April 2017) and “Doctor in the House,” in Flash Bang Mysteries: Spring 2017. Also out this month is his short story “The Red-Eye to Boston,” Horror Library, Vol. 6, Cutting Block Books (April 2017). Debra H. Goldstein, “The Night They Burned Ms. Dixie’s Place” in Alfred Hitchcock Mystery Magazine: May/June 2017. Martin Roy Hill, “The Other Enemy” in Devolution Z April 2017: The Horror Magazine (Volume 17). Steve Liskow, "That's All Right, Mama" in the anthology Switchblade: Issue One (Volume 1), Caledonia Press (April 2017) and “Afternoon Delight” in the anthology Busted! Arresting Stories from the Beat, Level Best Books (April 2017). Paul D. Marks, “Twelve Angry Days” in Alfred Hitchcock Mystery Magazine: May/June 2017. 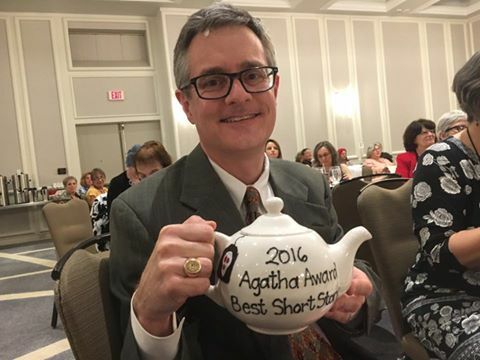 Paul also advises that his short story, “Ghosts Of Bunker Hill” was the first place winner in the 2016 Ellery Queen Mystery Magazine Readers poll. LD Masterson, “Annie Get Your Gun” in the anthology Busted! Arresting Stories from the Beat, Level Best Books (April 2017). Ruth M. McCarty, “Becky’s File” in the anthology Busted! Arresting Stories from the Beat, Level Best Books (April 2017). Alison McMahan, "The New Score" in Fish Out of Water: A Guppy Anthology, Wildside Press (March, 2017) and "The Drive By" in the anthology Busted! Arresting Stories from the Beat, Level Best Books (April 2017). Carlos Orsi, “Bulls Eye” in Mystery Weekly Magazine: April 2017. Mary Sutton writing as Liz Milliron, Charlaine Harris Presents Malice Domestic 12: Mystery Most Historical, Wildside Press (April 2017). Victoria Weisfeld, “The Flock,” in the anthology Murder Among Friends: Mysteries Inspired by the Life and Works of John Greenleaf Whittier, Post Mortem Press (April 2017) and “Burning Bright” in the anthology Busted! Arresting Stories from the Beat, Level Best Books (April 2017). Eligible SMFS members have been voting during the month of April. As set by the Derringer Coordinator, Dan Persinger, voting ends at 11:59 pm, EDT, tonight. Dan will verify the votes on Sunday and prepare the winner announcement. Winner announcement comes Monday. "You can still cast your votes in this year's Derringers until 11:59PM ET tonight. I will count, recount, and record the results tomorrow, and I will report the results to the membership by 8:00AM ET Monday morning. Those results will be official." 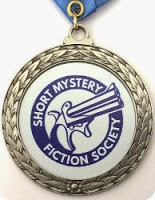 SMFS salutes author Lawrence Block on his win of the Edgar Award for Best Short Story. He won for his tale, "Autumn at the Automat" in the anthology In Sunlight or In Shadow. The full list of the 2017 Edgar Award Winners can be found at at the MWA website. For this last Monday in April, we have a special guest post from our former President, Jan Christensen. This is the first of what will be quite a number of informative posts from Jan about writing and tips she has come up with over the years. I write "by the seat of my pants." If I outline, which I dislike doing in the first place, I lose interest in writing the story--it's like reading a book for the second time immediately after you just read it for the first time. But I've found out after writing several novels and lots of short stories, that there are some tricks that can help me with both character AND plot. So, what I do now is think of several characters and start writing. After a while, I probably know what they do for a living, what they look like and some tiny bit about their personalities. But I need more. I need to know their secrets. The sooner I know their secrets, the more I can ratchet up the conflict and tension for them. Because of course, they don't want anyone else to know their secrets, so they'll often do things than are unreasonable to keep them. Each character also needs to be motivated by something. And then I have the fun of putting obstacles in her way to creative tension and conflict there, too. So, two important ways to help yourself have interesting characters your readers will care about is to give each one (even many of the minor characters) a secret or two, and something they want badly. It could be that what they want badly is to hide their secret. It's up to you when to divulge the secrets. Often it's best to wait a while to do that, but other times it's good for the reader to know almost right away because it explains why the character acts as she does. And it's always delicious, isn't it, to be in on other people's secrets? Congratulations to all the selected authors. The anthology will be published on October 12, 2017. The anthology will be available for pre-order in the summer of 2017. Details will be posted on Twitter/Facebook/this page with details as they become available. Additionally, member Pam De Voe's book, Trapped: A Mei-hua Adventure is a finalist in the Best Children/Young Adult category. 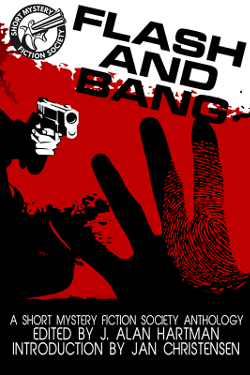 Member Jay Hartman, editor of our 2015 first SMFS-member anthology, Flash and Bang, has confirmed that bookseller Mystery Loves Company will have copies for sale at the convention. Members with stories in the anthology are strongly encouraged to go by and sign the sale copies as well as spread the word that the anthology is present for sale. Member Terrie Farley Moran also has set up a get together during the convention for SMFS attendees and family/friends. The location this year is the Bar of the Daily Grill (a restaurant in the hotel) at 5:30 on Friday, April 28, 2017. As posted to the SMFS list by Derringer Coordinator Dan Persinger, these are the finalists for 2017. Eligible SMFS members vote April 1-29, 2017. Winners will be announced on May 1, 2017.